In 1955, with the success of the F8U-1 and -2, Vought started to conceive a more powerful fighter design, the XF8U-3. Although it was similar to the F8Us and carried F8 designation, the aircraft was entirely a new design that installed larger fuselage to accommodate the new powerful J75 engine. 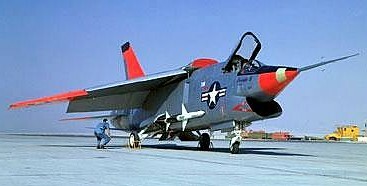 The U.S. Navy was interested in the design and signed contract to Vought for five prototypes in competition with McDonnell XF4H-1. First flight was made in mid 1958, performance and handling were judged as excellent. 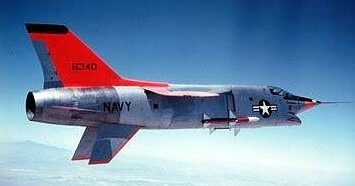 During flight tests, it achieved speed of Mach 2.39 and would allow reaching potential Mach 3. A few months later, the test program was ended because of heat limitation on acrylic windshield which could not took high temperature. In December 1958, Navy chose F4H as the winner of contest, and cancelled the XF8U-3 contract. Three prototypes were passed to NASA for further high-altitude / sonic boom tests until scrapped in 1960. 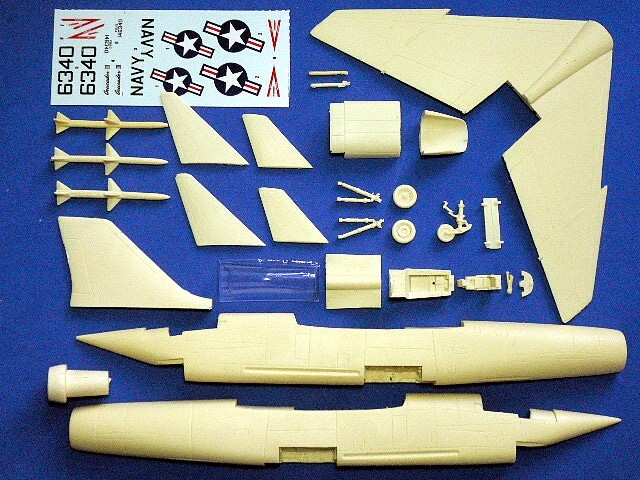 TheVought XF8U-3 Crusader III is suitable to group with the following collection series.